I've had Avatar: The Last Airbender profiles posted on my site for some time now, but until watching the Avatar: The Last Airbender - Book 2: Earth, Volume 1 DVD, I had never actually experienced this wonderful series. And boy, was I missing out! If I hadn't already known that it was a US production, and not Japanese animation, I would have been shocked to learn so. The entire essence of the show has a feel that is distinctly anime, or what we've all come to expect from first-rate anime, such as great artwork and animation, a deep and intriguing story arc, multidimensional characters, spot-on voice acting, and just the right blend of action, adventure, and humor. As soon as I finished watching the DVD, I went straight to TiVo and got a season pass for the show. Avatar: The Last Airbender - Book 2: Earth, Volume 1 contains the first five episodes of the second season. Apparently, each season is called a book, and each episode is called a chapter. Simply devious.... Now I hadn't watched any of the first season... sorry, I mean book 1... but apparently this is when Aang, our lovable tattooed protagonist, learned how to master Waterbending. What is Waterbending? Think Jedi-force powers, but applied only to water. It's when one can manipulate water in any shape or form they wish. You know, kinda like Zan, the loser half of the Wonder Twins, except way cooler. And the people who can water bend are called... wait for it... Waterbenders! Except Aang, because he's the Avatar, and Avatars are special. 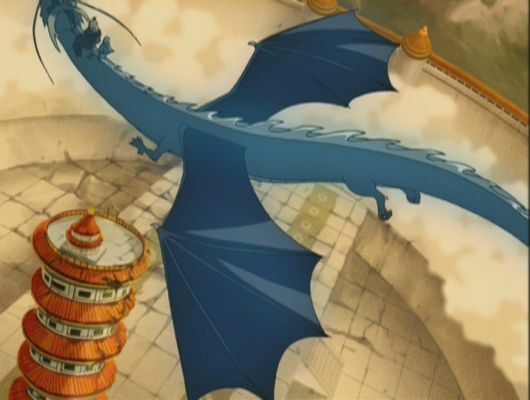 In the first episode of the disc, Aang finds himself becoming an potential object of destruction to a master Earthbender, a weapon to be used against the Fire Kingdom, rather than a student learning the ways of Earthbending. Aang does learn, however, that he should not be trying to take shortcuts, no matter how tempting it may seem. In the next episode we meet the group of traveling stoned nomads who help to teach the group that the journey towards a destination is more important than the destination itself. Next, the group returns to the town of Omashu, where they find the Fire Nation has taken control. 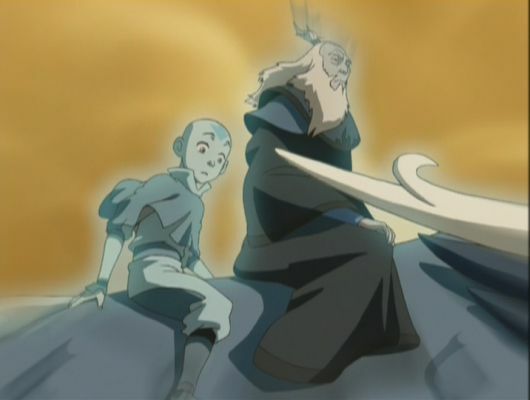 While they help the citizens to escape, Aang goes off to find his old friend the King, who teaches him to be patient, to open himself up so that he may hear the Earth speaking to him. And that's just what Aang does in the next episode, as the group is flying on Appa's back over a swamp, and the swamp calls out to Aang. 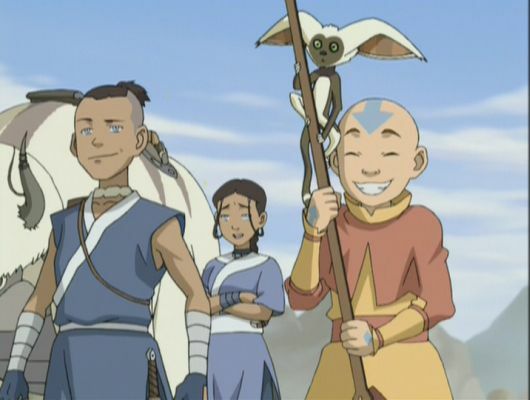 And finally, in the last episode on the disc, Aang and the gang stumble upon a village who is celebrating Avatar day... though it turns out to be completely different than what they were expecting! The group must now learn the truth behind what happened over 300 years ago between one of Aang's previous incarnations and the village's leader. And of course, just finding out what happens may not be enough! Oh yeah, and I didn't even mention the whole subplot of Prince Zuko and his uncle Iroh. Apparently sometime during the first sea... er, book, Prince Zuko was banished by his father. Now Zuko and Iroh find themselves on the run, needing to keep a low profile and do whatever they can for food. There are many lessons here that Zuko could learn, if only he weren't so stubborn and hotheaded, and actually listened to Iroh. There is only one special feature on the disc, which is the first episode shown entirely as an animatic, with a little window showing the finished episode so you can compare. The back of the DVD case also lists "Full Screen Format" and "Dolby Digital" in English, French, and Spanish... but since when are those considered special features? Anyway, this is a great show, and not just for kids either. It is one of the few cartoons out there that would keep both children and adults entertained. I'm sorry I let this show slip by me, so don't you go and make the same mistake! Synopsis: The epic story of Avatar: The Last Airbender follows the journey of Aang, a 12-year-old boy torn between fulfilling his fate as the long-awaited Avatar and just wanting to be a regular kid. Aang is called upon to lead the fight against the vicious Fire Nation to restore balance in his war-torn world. 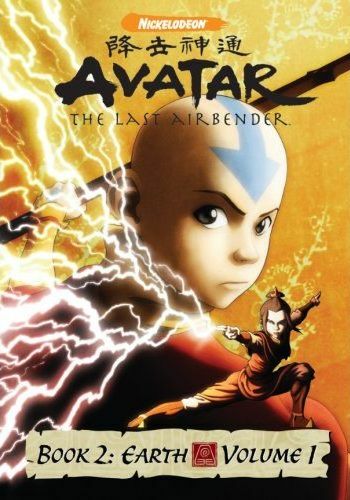 Aided by a protective teenage Waterbender named Katar and her bull-headed warrior brother Sokka, Aang proceeds on a perilous journey to save the world while sometimes shaking off his heavy responsibilities so that he can enjoy being a kid. 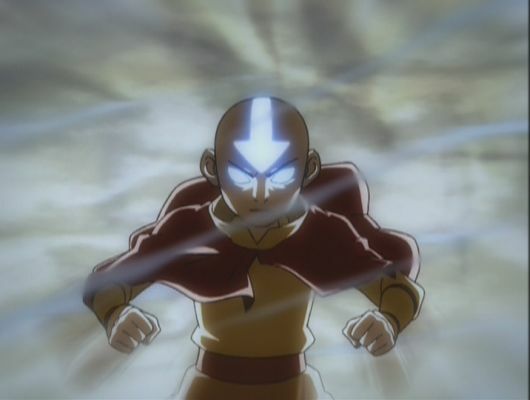 Now a master Waterbender, Aang leaves the Northern Water Tribe to continue his quest to master the next element, Earth. Along with Katara and Sokka, they visit new Earth Nation cities, encounter a slew of different Earth Kingdom citizens, and even reunite with a crazy old king! Chapter 1: The Avatar State - Aang and his friends meet General Fong, an aggressive military man who wants to use Aang's powerful "Avatar State" as a weapon to defeat the Fire Nation. Chapter 2: The Cave of Two Lovers - The kids meet a group of hippie-like nomads who show them a shortcut through the "Cave of Two Lovers." But when they get lost in the cave, they have to trust in love in order to make it out alive! Chapter 3: Return to Omashu - The group returns to Omashu in search of King Bumi and finds the Fire Nation has completely taken over the city! Chapter 4: The Swamp - The group ends up in a mysterious and strange swamp, and they each see different visions before them. 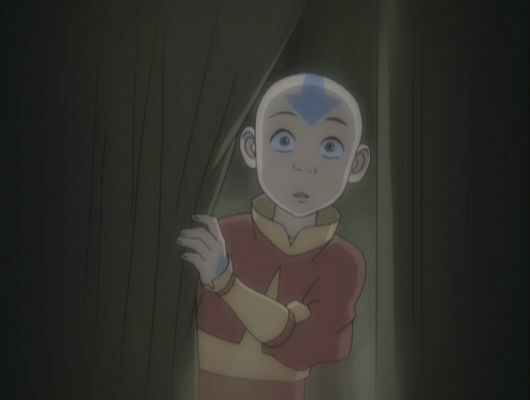 Chapter 5: Avatar Day - Aang and the gang discover an Earth town that celebrates "Avatar Day"- a festival of anti-Avatar sentiment caused by something Aang did in his past! Will Aang be able to clear the Avatar's good name?